Too true! Shall we start petitioning for a plane crash themed park? Filled with rides for adults only, but not *that* other kind of “adult entertainment”. But..But.. Stewardesses in the equivalent of Hooters Waitress outfits staffing this theme park… Excuse me but I have to do some google research. But there’s adult sized slides…. I believe Waterslides are still fair game. Mudslides might be fair game also. There. Plane slides are for sissies. You just have to do it anyway. As a dad who takes his daughter to the park on occasion, I’ve learned that the other adults there will loosen up if one of them breaks social convention and will join you. I may be the first on the equipment when I’m there, but I’m not alone by the time I leave. Yeah, a little tricky if you’re an adult with no kids. Even being a woman (therefore probably not a molester) I get some funny looks. It’s better if my husband’s with me. If you’re young they’re think you’re silly lovebirds, and if you’re old they think you’re senile. Whatever works. The travelling carnivals which show up in the autumn around here often have one “ride” which is actually a three-story high slide. Only ride I go on. Over and over and over again. I mean, I’ve got to stock up on an entire YEAR’S worth of sliding in one trip. Best thing ever is the giant slide at the Minnesota State Fair. You slide down on burlap sacks and they have microphones to pick up your whooping and cheering. I’ve been on that slide since I was a kid and it’s still a favorite when I can make it back home during the fair. Here’s what you do: 1) Go at night, when no one can see you 2) Sit on a piece of waxed paper, it really speeds up the ride! 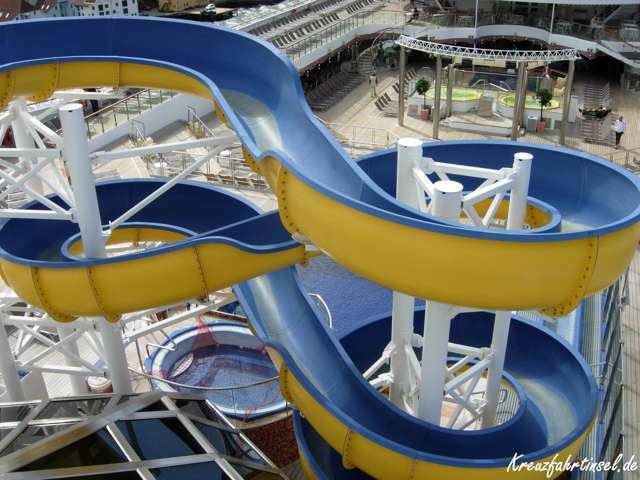 3) Slide down repeatedly as it builds up a wax layer on the slides surface 4) Come back the next day and watch as kids are sliding down at 90 mph and giggle to yourself 5) Hope unwary adults slide down and end up with their feet in the air and their butts on the ground as they relive their childhood dream of sliding at 90 mph! Coincidence – I do have a duck call in my pocket…. Rescued it from the dog’s chew toy as he chewed it to pieces. Well, 41 now. Why does that surprise you? Do I cartoon like a younger man? You should try to ride on the upper deck of a 747*, then.